Minimal yet chic, this contemporary piece flatters the middle finger flawlessly! 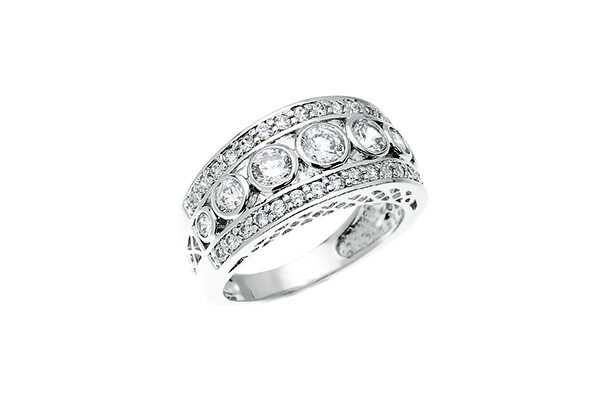 Round cut simulated diamonds decrease in size from the center as it tapers towards the hand. 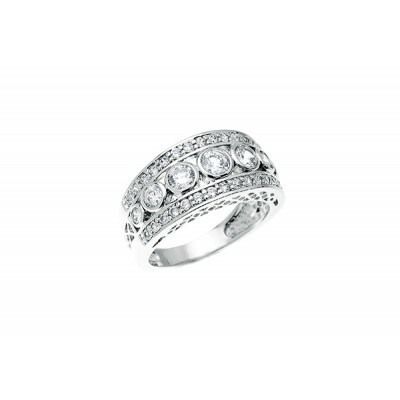 This .925 sterling silver setting is engraved with triangles giving this band a modern and fresh feel. Comfortable for everyday this ring is a must!